Every now and then I find myself in a heated debate about cycle helmets. Recently I was shouted at in a park by a woman with a dog on the loose, asking where my helmet was. 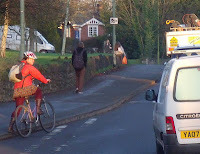 In these situations, it is often a person who hardly cycles who keeps pushing in an aggressive way that it should be law that every cyclist must wear a helmet. Sorry, but I don't agree. What frustrates me is that helmet fanatics hardly ever have the peace and patience to listen to arguments against helmets. I felt it was time to bring these arguments across in a blog article and I apologise it is going to be a wordy one. There are a lot of misconceptions surrounding this topic that need to be addressed. To start, I would like to focus on the feeling of fear many people in Britain have about cycling. 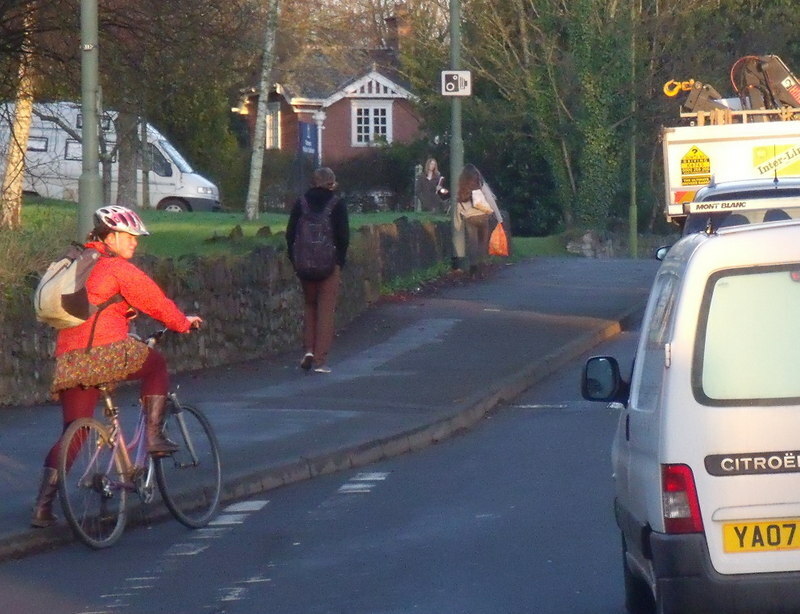 People have a feeling cycling is dangerous, so where does that sense of danger come from? Is cycling in itself dangerous? Not really; once people are able to keep their balance, have full control of the bike, have taken in some regular mileage and keep an eye on the road-worthiness of their bike, it is unlikely they will ever fall off the bike just like that. In the unlikely event this would happen, people will generally brake their fall with their arms and hands. Wrists, arm, elbow injuries or light scratches are the most common injuries in these situations, rather than head injuries. So, for the activity of cycling in itself, helmets could only increase safety in the extremely unlikely event of a person falling of the bike and hitting a nearby hard object with the head. I'll come back to this later in this article. Let's first return to the sense of danger. 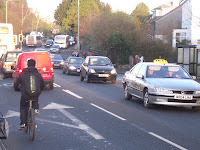 As DfT-research shows, 61% of people find it is "too dangerous to cycle on the road". Many like to dwell in such statements, so let's dig a bit deeper. 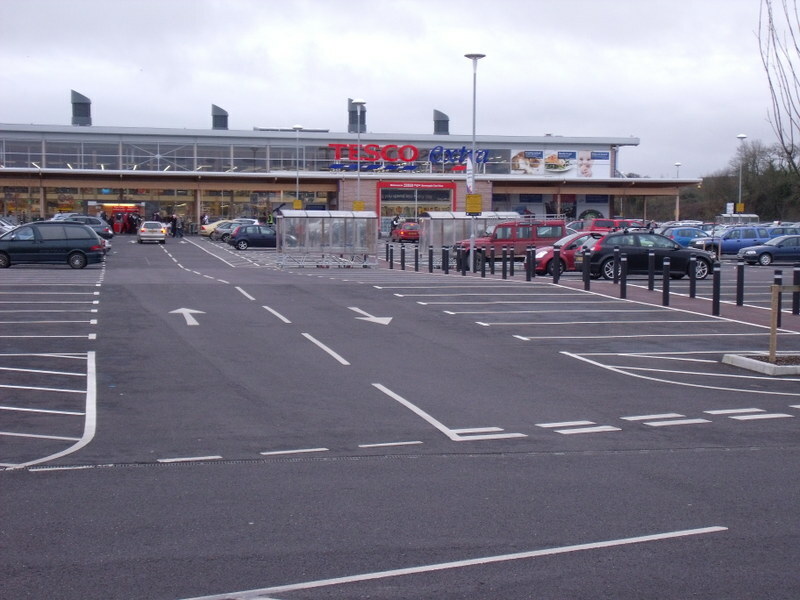 Is a strip of tarmac in itself dangerous (whatever the lay out) or are the things people do on these strips dangerous? You'll have to admit it is the things that people do what causes the dangers, not the strip of tarmac in itself. People always take some sort of risks when they are on the move, even when walking. Once in charge of an incredible powerful set of horsepower under their bums, people taking risks can have fatal consequences though, not only for themselves, but also for others. We all know what I am talking about here. It is not the roads, it is not the cycling; no, most accidents are a result of speeding and unthoughtful driving. This is where the real danger is coming from! 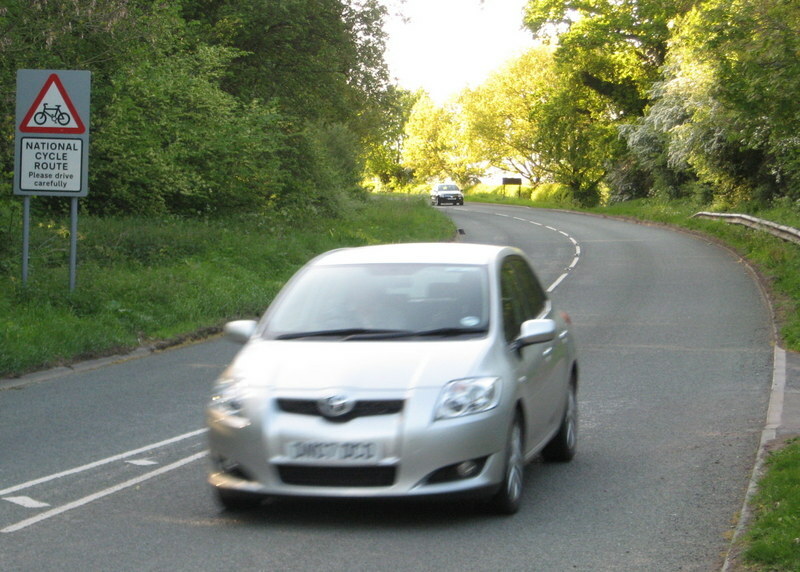 Generally, speed limits in Britain are far too generous, not doing justice to general limited road widths, limited visibility and potential use by other users other than motorised traffic. On top of that, it seems socially accepted to drive faster then these generous speed limits, as a 2012 RAC survey showed. 83% of respondents in this survey admitted to break speed limits regularly and 92% of respondents regarded themselves as law abiding! This probably also explains why cycle helmet fanatics are never prepared to fully listen to arguments against cycle helmets, as it confronts them with their own shortcomings as a driver in an inconvenient way. I don’t even talk here about the fact that many drivers overtake cyclists too close ("pushing through overtaking in the same lane"), a common hazardous practice which is forbidden in the UK Highway Code since 2007, but hardly gets enforced by law. It is clear that the problem of speeding and careless driving should be approached at its origins, rather then saddling up cyclists with the after effects by making them to wear helmets. To take up cycling in Britain, people have to overcome enormous barriers. It is written in invisible capitals everywhere that you should drive, rather than riding a bike. 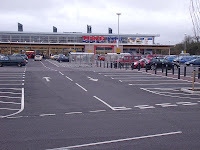 Many public facilities are only accessible by travelling through large car dominated pits of tarmac, with inferior bike parking facilities hidden well away from the main entrance. 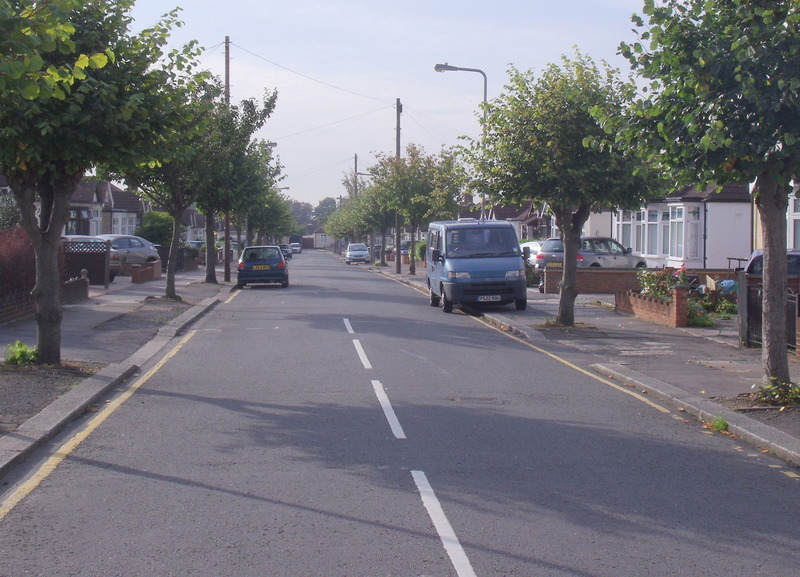 Road lay outs are generally based on designs from the 1950s and visually confirm that roads are built for cars only (while they weren't). People talk about travel distances in hours of driving time only and "only a 2 hour drive" is regarded as a short journey these days. 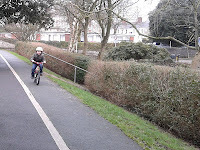 When I picked up my son from a birthday party at a children's play centre last week I was the only dad who came by bicycle. In the lobby, the children were frantically enjoying a display of car-modeled license plates with children's names. 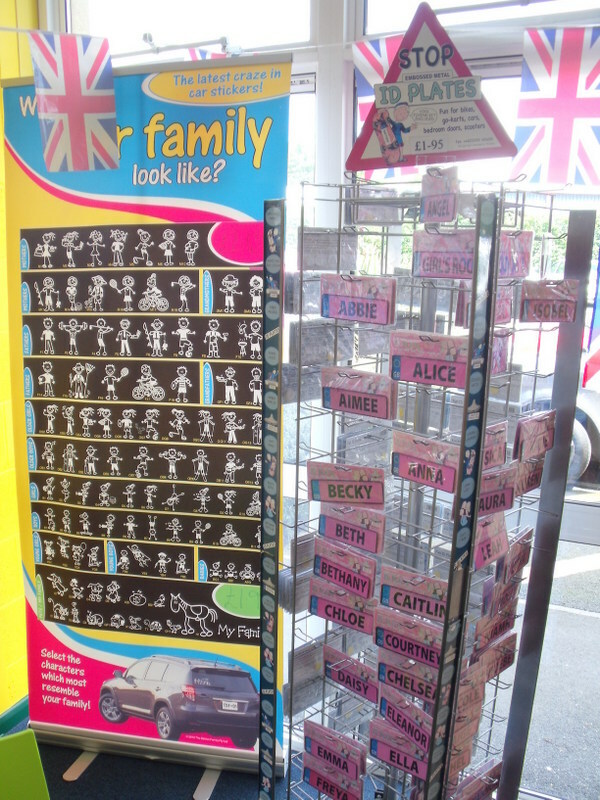 The only other display in the play centre consisted of "funny" stickers "to give your car your perfect family ID". And all off in their metal boxes they went. The knowledge that 83% of these parents were likely to get involved in speeding on the way home (free interpretation of the RAC survey, see above), the real reason why cycling on the road is regarded as not safe for their children, gave me an extremely sad feeling. Like aliens from space, my son and I set off on our journey. None of my son's friends were breathing in fresh open air on their journey home that night. The party balloon, attached to my son's bike, was lonely dancing in the sky. My example above and more reflections of this kind just show how mentally dedicated you must be to engage in cycling in England. The last thing needed is the creation of an extra barrier to take up cycling. It is a well-known fact that helmets just put people off cycling. The helmet law in Australia made numbers of people participation in cycling drop by a third. In parts of Canada, 40% of people participating in cycling stopped riding their bikes after the introduction of the helmet law. On the other end of the spectrum it is proven that by creating proper cycling infrastructure people will start cycling because it is safe, so why just not do that? Proof of this approach is delivered on a massive scale, every day, only 120 miles east from the UK, across the North Sea in The Netherlands. Proper cycling infrastructure in The Netherlands perfectly addresses the fact that speeding and reckless driving is at the cause of most accidents, so cyclist are taken away from high speeds and reckless drivers by segregated cycle paths along busier roads. 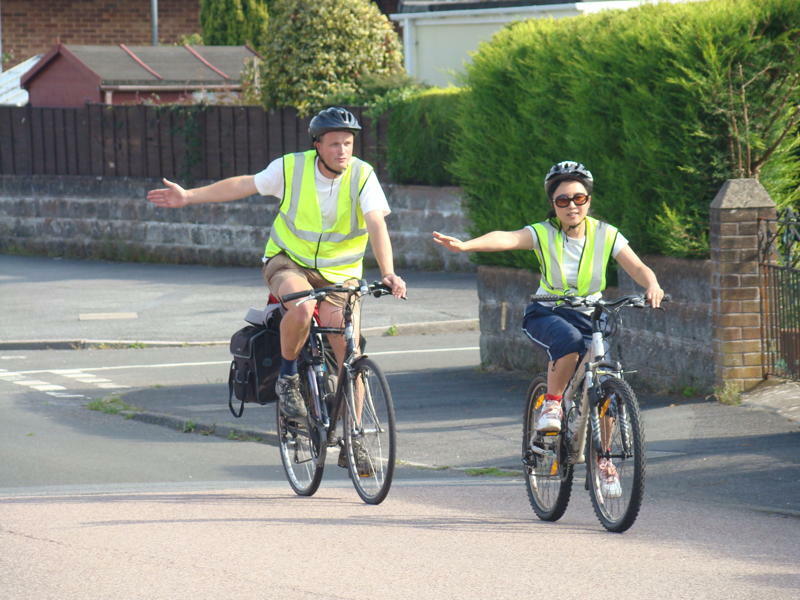 Where roads are quieter and shared, strongly enforced speed limits, speed bumps which only affect drivers (not cyclists) and visual forced "share the road" layouts ensure drivers just don't have the option to behave irresponsible when in the vicinity of cyclists. 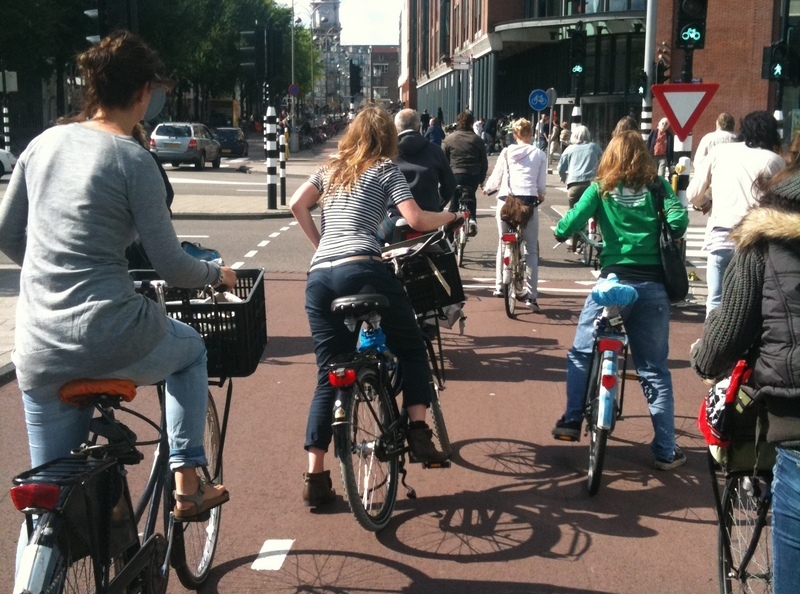 Therefore, Dutch people love cycling. 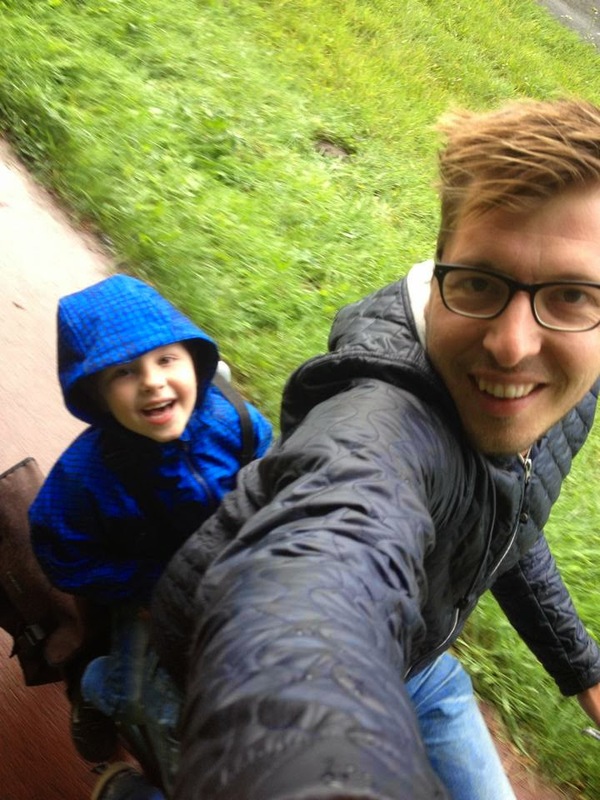 It is fun, safe and convenient, even in Netherland's seriously hilly areas around the cities of Nijmegen and Maastricht. 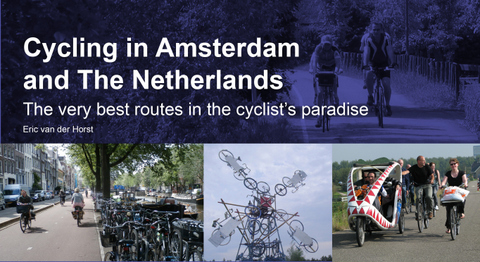 You can experience all this for yourself with my guidebook featuring Netherlands' very best routes. 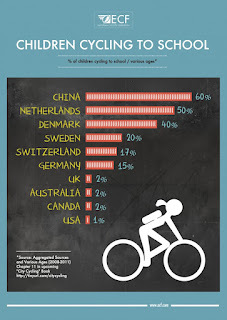 In The Netherlands 50% of children cycle to school (see diagram) and, indeed, hardly anyone wears a helmet! 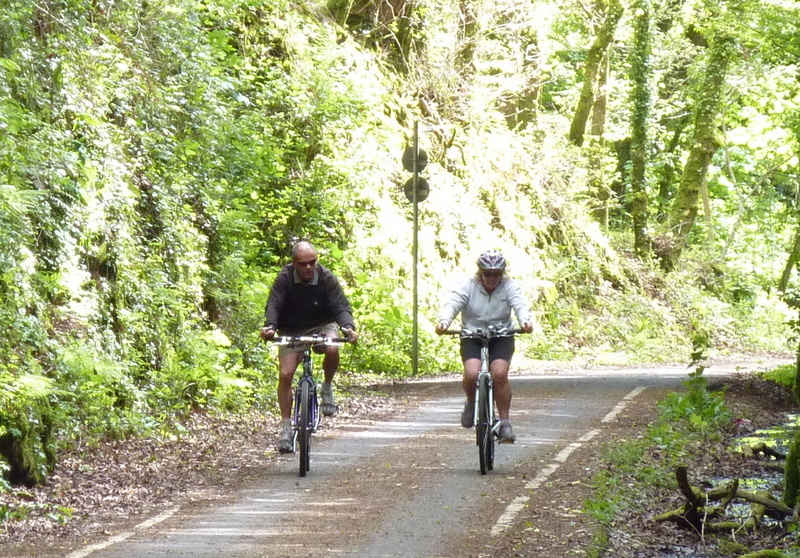 So, back to Britain; do cycle helmets actually improve the safety of cyclists? Eh, no. 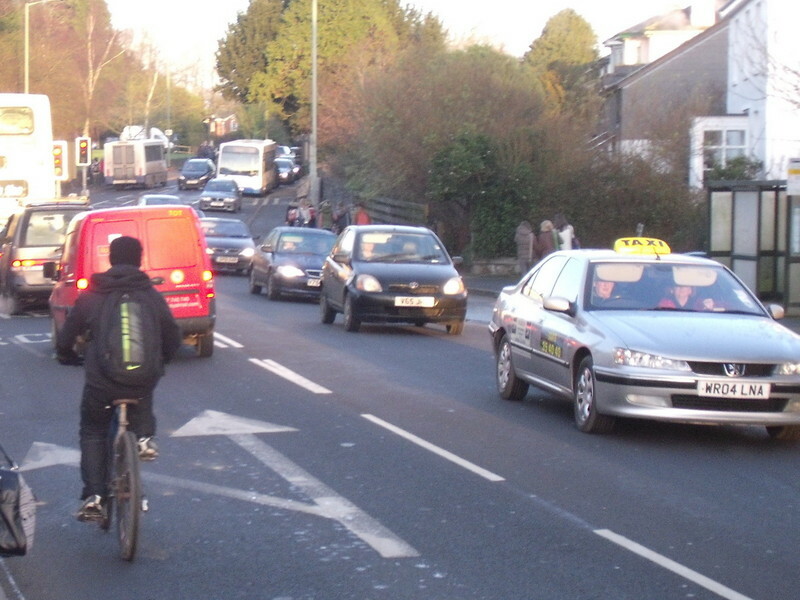 The latest 2012 figures show a rise in road deaths and serious injuries amongst cyclists. Inconveniently for the helmet lobby, most of the London casualties were wearing helmets and it is obviously clear this didn't protect these unfortunate cyclists of being mowed over by a lorry, bus, car or whatever. It shows painfully how cycling in large motorised traffic flows is not desirable, again raising the case for consistent segregated space for cyclists on such routes, like in The Netherlands. 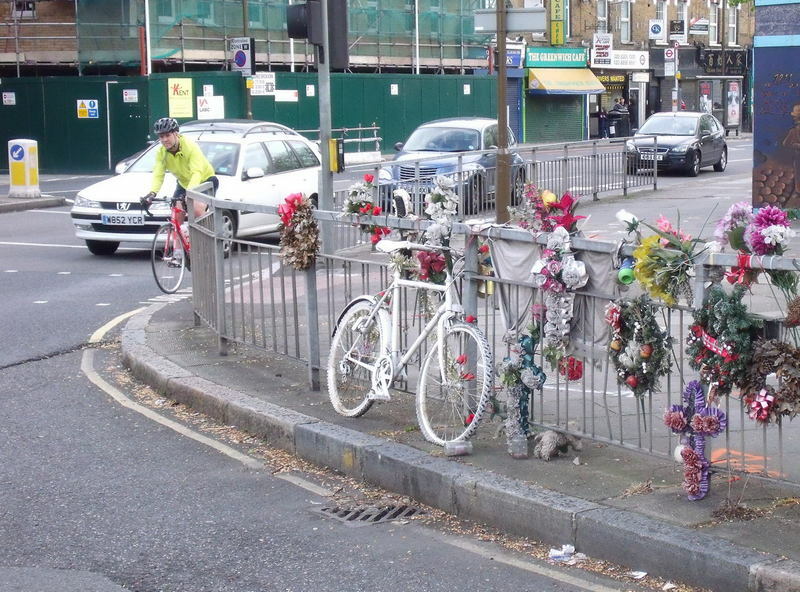 As helmets didn’t save the lives of these unfortunate London cyclists, it is time now to dig deeper in what cycle helmets actually do. There is an increasing amount of research being done into the wearing of helmets and their usefulness in reducing serious head injuries. 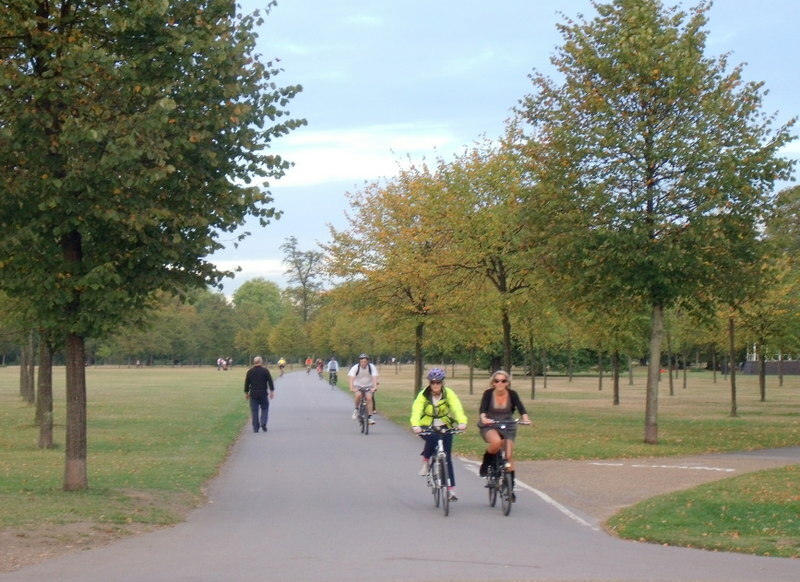 Most of this research is commissioned by cycle helmet manufacturers who clearly have a financial interest in promoting the wearing and even legislation relating to wearing of cycle helmets. A lot of this research is freely available on the internet and when browsing through the findings two facts keep popping up. In the first place that cycle helmets are just not very strong and in the second place that the design of cycle helmets is a compromise. The development of helmets for cycling came out of the development in the use of foam as a shock absorber in motorcycle helmets in the 1970s. The intention was to decelerate the skull (and therefore also the brain) more gently. However, the hard shell of motorcycle helmets proved to be unsuitable for physical activities such as cycling, as body temperature is regulated through the head. So, for cycle helmets, the heavy outer shell was removed with air vents cut into the remaining foam. In attempts to reduce the feeling of discomfort associated with the wearing of helmets (a likely important cause of reduced cycling participation after introduction of helmet laws), the volume of polystyrene foam has further decreased over the years, making the cycle helmet just not really effective in protecting the skull. 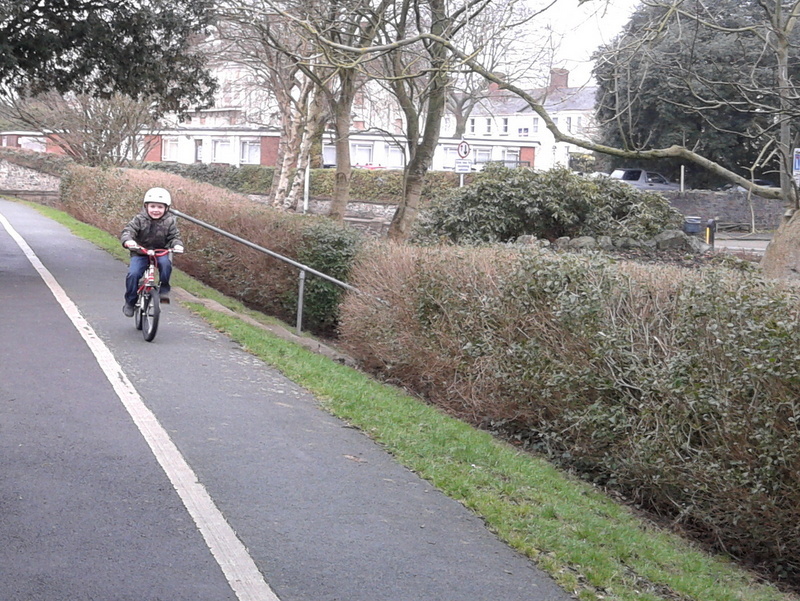 A typical today's cycle helmet will only protect a skull fully on impacts with speeds of 12 miles per hour or less, making it only a good tool for those who are just learning how to ride and to keep their balance, especially young children. Any other riders with a good level of balance and control skills and cycling at a reasonable speed should question the protection value of their helmet. If experiencing an impact over 12 miles per hour (very likely in a collision with a motorised vehicle), this protection value will be very minimal indeed! So, in summary, a cycle helmet is an inferior product which will hardly provide the safety it is associated with. Cycle helmets are a "side produce" of five decades of unprecedented priority for motoring, a policy which takes its toll on society and planet in many ways, day after day. As part of this, it is not a surprise that the slogan "be safe, wear a helmet" is well settled into society, due to relentless efforts by government bodies and cycle helmet manufacturers. These efforts have created an incorrect image, which gets happily copied and pasted by health and safety officials and legal departments all over the country. The lie spreads further continuously; affecting people's brains seriously all around and reinforcing the "motorised way of thinking" as a result of five decades of unlimited motoring. This has resulted in a dangerous false sense of security amongst cycle helmet users. People think they are safe by wearing a helmet, but they are not. For example, if you cycle down a hill at 30 mph whilst wearing a helmet you might have the feeling of being safe, but if you don't take conditions around you into account in your cycling style (and speed! ); risks of a fatal accident will be high. A helmet won't save you. On this example, again, speed, would be likely the cause of the accident, but now created by the cyclist him or herself; ouch! 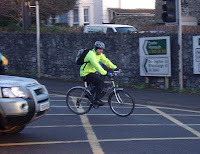 There is also evidence that drivers will overtake a cyclist in more hazardous ways when he/she is wearing a helmet, more so than when the cyclist is not wearing a helmet. The helmet makes the cyclist look like a secured object, rather than a human being. There is another contra dictory psychological aspect though. 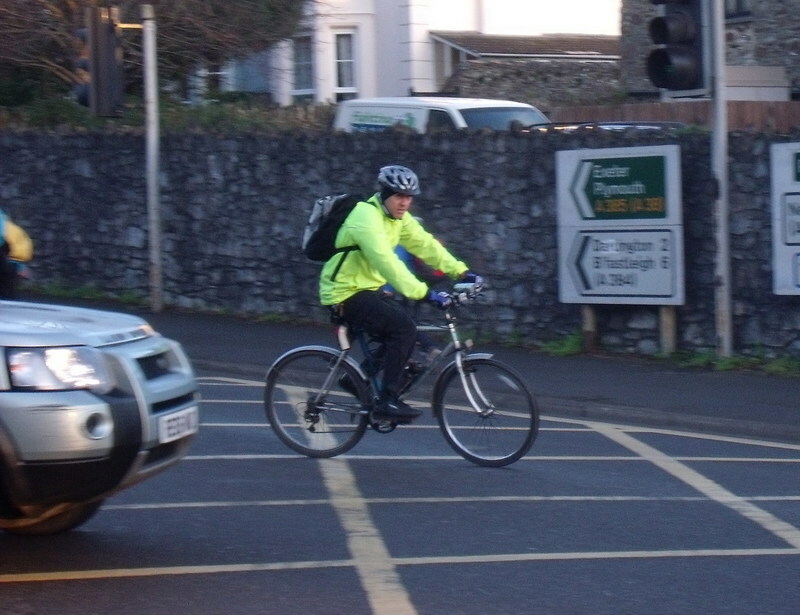 When seeing a person cycling with a helmet you could also conclude that this person will fall of his/her bike at some stage in the future, hopefully narrowly escaping a serious head injury (the reason to wear the helmet). Thinking in this way, seeing someone riding a bike with a helmet could confirm again the common thought that cycling is dangerous, a misconception we should get try to get rid of in the first place. 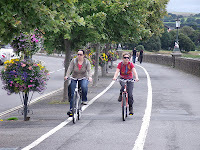 To get people cycling, you need to see happy smiles on bikes, free from wearing helmets. To me, it also makes much more sense to try to avoid accidents to happen, rather then making a poor attempt to try to reduce the impact of the accident. It is expected though it will take a long time to free Britain's roads from speeding and reckless driving and to get rid of "the big lie", so what can you do now to make yourself safe on your bike? Well, you could become a campaigner for improved cycle facilities. If you don't step up to force this change in this car dominated society, who would? Authorities will only change their way by public demand, just as this happened in The Netherlands in the 1970s, with amazing results in cycling uptake. 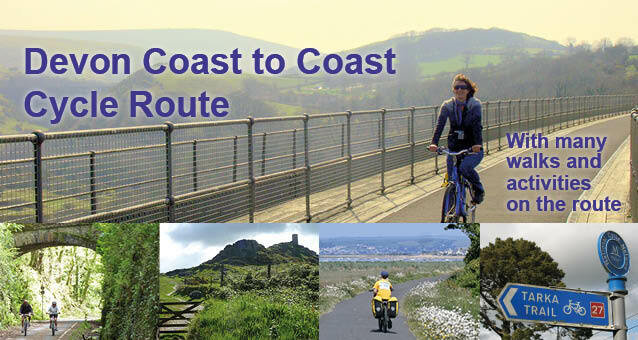 I believe it is possible to create good local cycle networks in Britain against a reasonably low cost, so long as a systematic long-term approach is chosen. Meanwhile, to be safe and happy as a cyclist in the UK, I avoid busier main roads as much as possible. I try only to cycle on more quiet back roads and streets where I can take control of the situation as a cyclist. 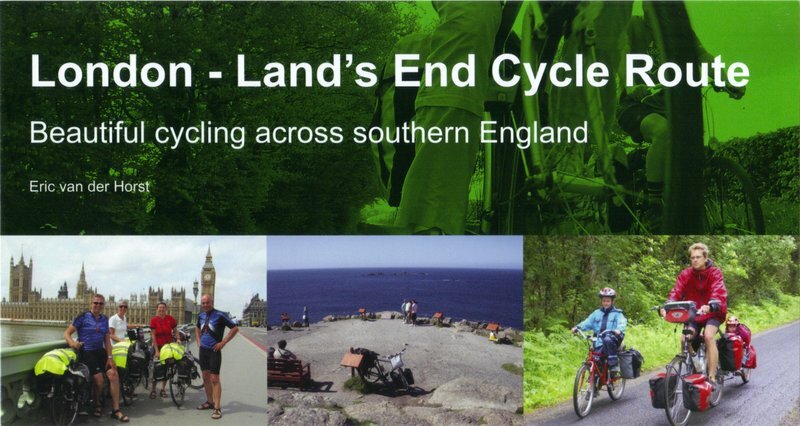 In my London - Land's End Cycle Route guidebook I put these principles into an art of its own right, providing you with a 1000 km long continuous traffic-calmed route, even crossing Central London; a spectacular guarantee to happy cycling! 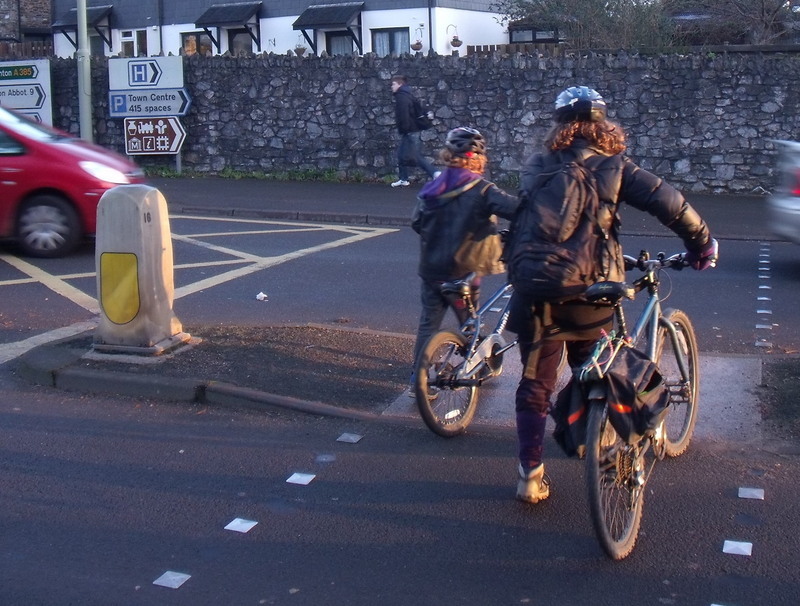 Remember it is still important to know how you can control traffic flows as a cyclist and how to recognise and deal with hazards on the road. A Bikeability session with an accredited National Standard instructor can help to gain confidence on this matter and will get your knowledge up to the latest safety theory. It is how and where you cycle that makes you safe, not what you are wearing! If you do this, don't be offended if your Bikeability instructor makes you wear a helmet. He or she could well be brainwashed by "the myth" too. Also, in a country with a growing obsession for liabilities, the instructor is likely to be advised all they can do to avoid being charged with "causing" a serious head injury. In the end, to helmet or not, it is all your own choice and responsibility. It is important though to be aware of all issues above, so you are able to come to your own conclusions, based on facts rather than on common belief. This brings me to the only right conclusion for this article, on which I feel free to quote some combined statements by the European Cyclist's Federation ECF. "I am not opposed to the wearing of bicycle helmets, but firmly believe this should be a decision for every individual cyclist. The countries with the highest level of cycle use and the lowest risks per kilometer cycled have chosen to create safer road conditions rather than promote the wearing of helmets." So, make from it what you want and please make your own conclusions and decisions. Meanwhile, I'll only wear a helmet if this is professionally required; otherwise, I am proud to be Dutch; full stop. While cycling on the empty New England Highway to Grafton, a police car slows down next to me to remind me I have been breaking the law for over 1800 miles. "Where is your helmet?" the police officer asks me. "My helmet?" "Yes, your helmet?" "I don't have a helmet." I manage to say this with full innocence on my face. I can be a pretty good actor. "In that case you are breaking the law, helmets are compulsory in New South Wales." "Compulsory, really? 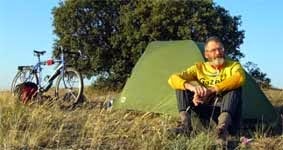 There were no signs to tell me when I cycled across the state line and nobody told me." "It is compulsory in the whole of Australia". "Oh, nobody informed me when I arrived at Melbourne Airport." "It is the law, here, look!" The policeman gets a book from his glove box and is trying to find the relevant page. I wave it away and answer "If you tell me it is the law, I believe you of course. You don't need to show me. 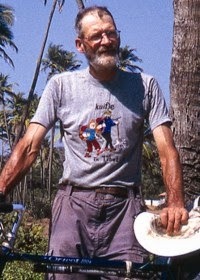 I am just surprised , because I have cycled across 86 countries and in none there was a helmet law." The officer shows me the page. "Fine for cycling without a helmet $ 38." "You are right," I obey. "How can we solve this problem? Are there helmets for sale here?" "Yes, there is a bike shop in Armidale, but it is closed today." "How inconvenient; is there a bike shop in Grafton?" "Multiple." "And they sell helmets there?" "Absolutely." "Well, I better head there then, but that is another 115 miles without a helmet." "That is up to you, but you may be fined." "Do I have another choice?" Well, you also risk to be driven off the road by a car." "Well, with a helmet, I can also be driven off the road by a car. I survived Mexico and Brazil without a helmet. I think I will survive this highway to Grafton too." The policeman accepts my story completely and all I told him is true. I am impressed with my performance. Sometimes you have to play the silly man. You ought to sometimes. I came to Australia to see the country in a pleasant way (by bike!) and I am not going to cycle 7000 miles with a wobbly, muggy piece of plastic on my head and an irritating strap under my chin. I am not harming anyone if I ride without a helmet. Authorities should stop behaving as a better knowing daddy towards grown ups. Before you know I am not allowed to walk outside without a coat if it is cold or cycle more than 60 miles a day, because somebody died in the process somewhere in the world. People in this country are not used to cycling. I cycled over 1800 miles from Melbourne so far and I can count the total number of people I spotted cycling on my ten fingers. Some of them were toddlers and it was entertaining to watch them cycling on the pavement while the helmet was gradually sinking over their eyes and blocking their view. I was also amused by two grannies on racing bikes on a cycle path. Their speed was not exceeding five miles per hour. Of course they were wearing big bright coloured helmets and I was glad for them. At such breath-taking speeds, chances you'll fall off are pretty high. "De Rode Kangeroe", pages 52-57, translated from Dutch, Elmar Publishing, Rijswijk, The Netherlands, 1997. What about enjoying the freedom that traffic-calmed cycling can bring with one of my "Cycling Dutchman" guidebooks?